Organic Cupcake Soap Sponge. Sustainable renewable resource. Made in America. This Organic Cupcake Soap Sponge contains Goats Milk, Palm Oil, Coconut Oil, Purified Water, Fragrance and an Organic Sea Sponge harvested from U.S. waters as a 100% renewable and sustainable resource. 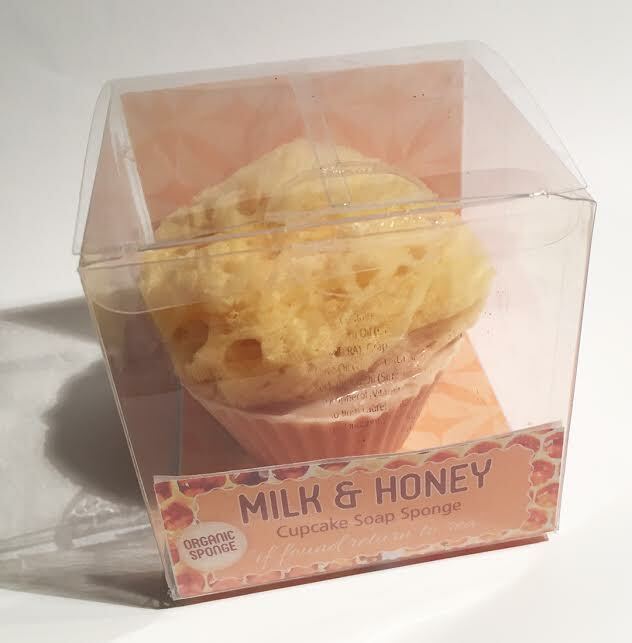 The Cupcake Soap Sponge offers a rich luxurious lather without the use of harsh chemical surfactants while hydrating, moisturizing and gently exfoliating at the same time. “If found, return to Sea”… Made in America.